iPhone Screen Tip: How To Make The iPhone Display Darker! You are at:Home»iPhone»Display»How Do I Make The iPhone Display Darker? Here’s The Fix! How Do I Make The iPhone Display Darker? Here’s The Fix! You want to use your iPhone, but the screen is just too bright. Bright screens can put a strain on your eyes and bother the people around you, especially if they’re trying to sleep. 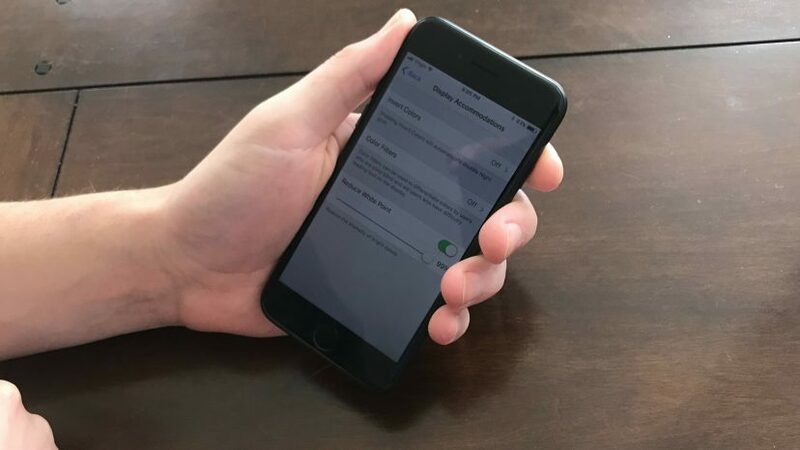 In this article, I’ll tell you about two awesome screen tips that will show you how to make the iPhone display darker! First, swipe up from the very bottom of the screen to open Control Center. 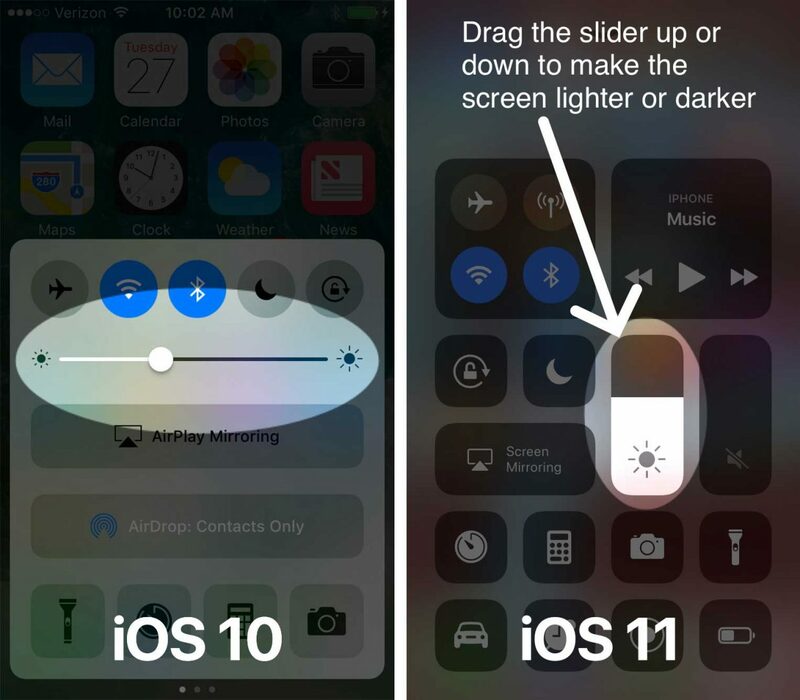 Use your finger to adjust the brightness slider to make your iPhone screen brighter or darker. Open Settings -> Display & Brightness, and drag the slider to make your iPhone’s display darker or brighter. 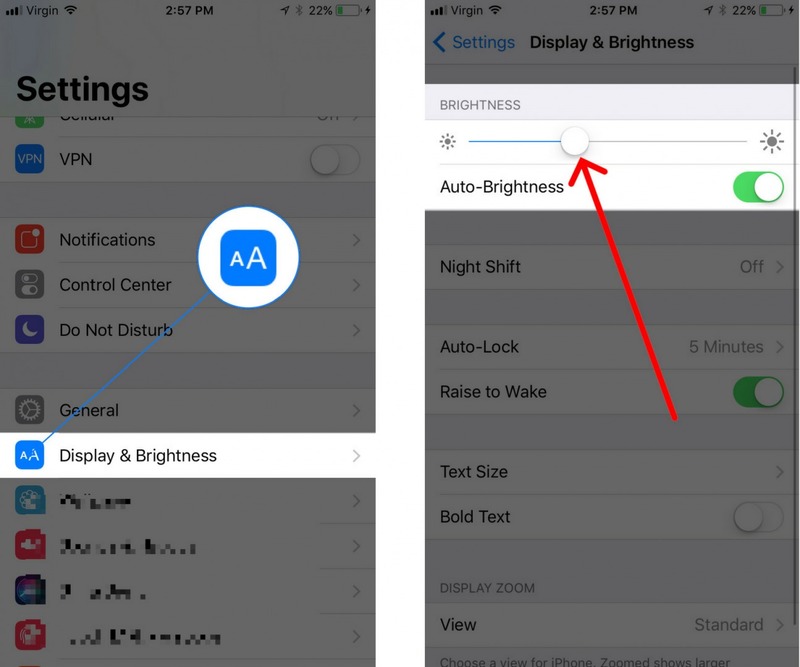 There are two ways to make the iPhone display darker than you’re able to by using the brightness slider. The first way is by turning on Reduce White Point, which reduces the intensity of the bright colors displayed on your iPhone’s screen. The second, which I’ll talk about further down in this article, uses the Zoom tool to make the iPhone display darker. Under Vision, tap Display Accommodations. Tap the switch next to Reduce White Point. You’ll know the switch is on when it is green and positioned to the right. When you do, a new slider will appear below Reduce White Point. Drag the slider to adjust how much White Point is reduced. The higher the percentage on the slider, the darker your iPhone display will appear. Tap the switch next to Zoom. You’ll know it’s on when it’s positioned to the right and green. 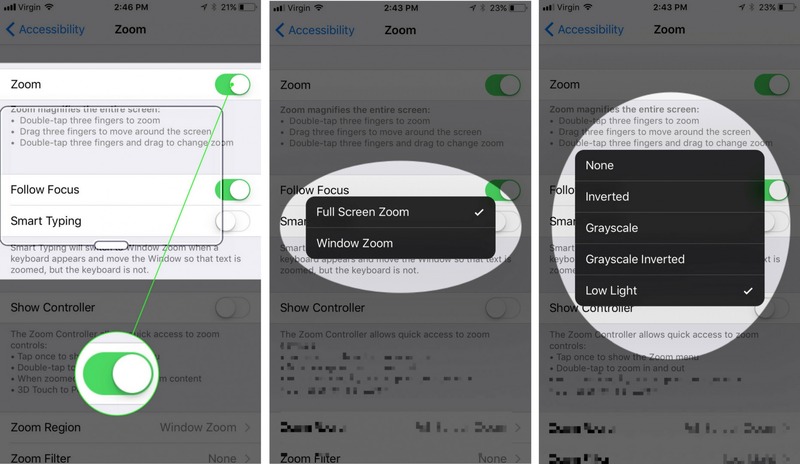 A new window will on your iPhone’s display that zooms in on a portion of the screen. Using three fingers, triple-tap on that window to activate a menu of settings. Tap Choose Region and select Full Screen Zoom. Tap Choose Filter and select Low Light. Drag the slider at the bottom of the menu all the way to the left towards the magnifying glass with a minus in it. Use the brightness slider to adjust the screen as you wish. 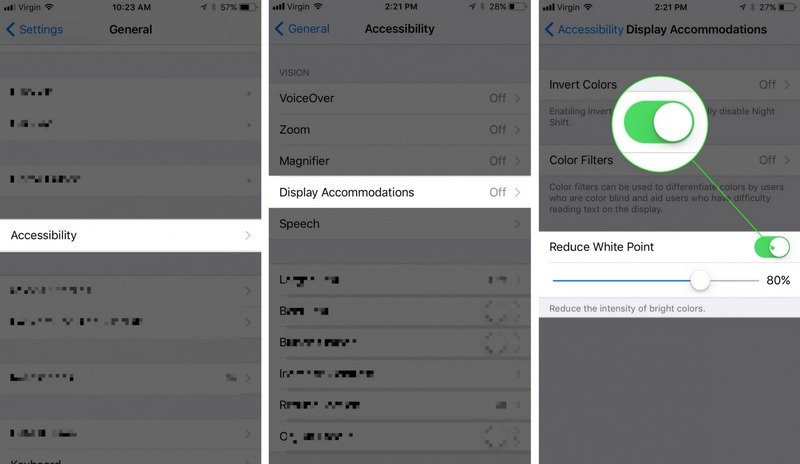 If you implement either of these tips, you’ll make your iPhone display darker than you’d normally be able to with just the brightness slider on its own! Oh No! Now My Screen Is Too Dark! Did you accidentally make your iPhone’s screen too dark? That’s okay. Simply turn off the switch next to Reduce White Point or turn off the switch next to Zoom to undo everything. If you get really stuck, check out our article My iPhone Screen Is Too Dark! Here’s The Brightness Fix. to solve the problem for good. You’ve successfully made your iPhone screen darker than ever and you won’t put a strain on your eyes or bother others any longer. Now that you know how to make the iPhone display darker, we hope you’ll pass this tip along on social media to your friends and family! Previous ArticleHow Do I Turn On The One-Handed Keyboard On An iPhone? The Fix! Next Article Can I Restart An iPad Without The Power Button? Yes! Here’s How.